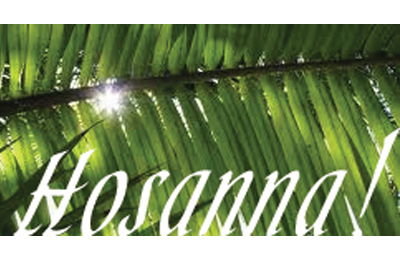 Palm Sunday – April 14, 1:00 0a.m. – ONE service only. 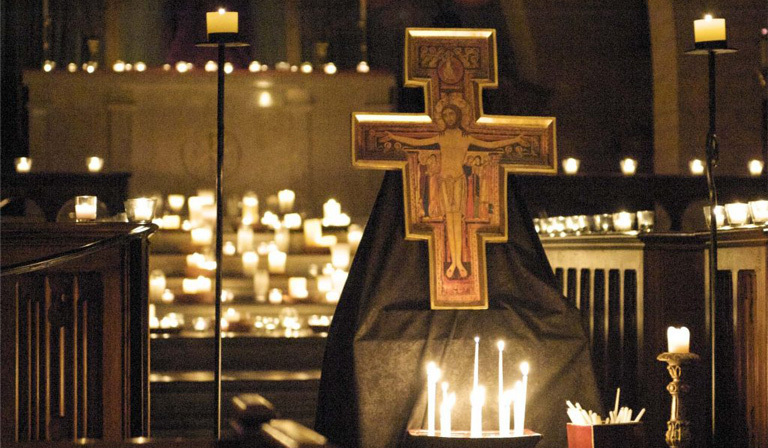 A contemplative service of chants, a reading from scripture, quiet reflective moments, and candles lit to illuminate our hearts as we move into the mystery of the suffering, death and resurrection of Jesus. 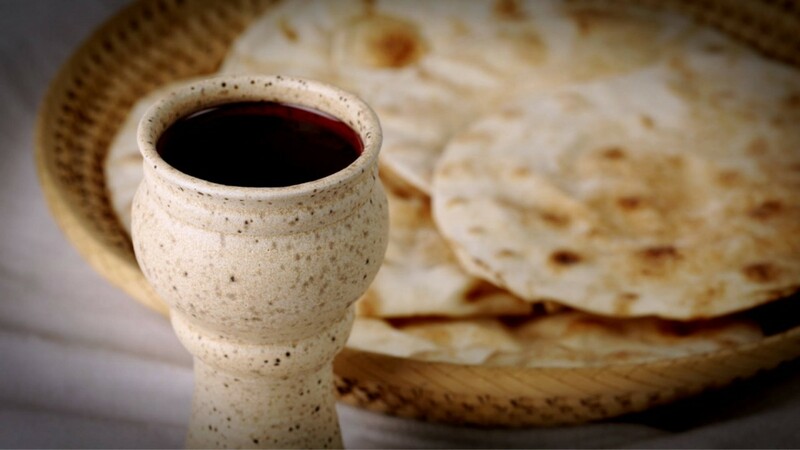 Center yourself with this mid-week Holy Communion before the drama of the Triduum begins. Come join us as the Parish Hall becomes for us the Upper Room. After a simple supper, the short service includes foot washing, Holy Communion, and drmatic readings of Jesus’ last evening with the disciples. 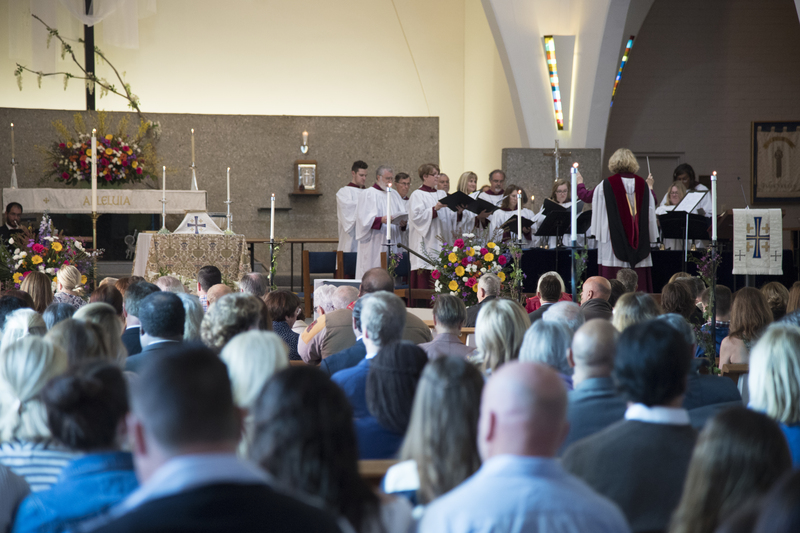 The service will continue with a procession to the church, the washing and drying of the marble altar, and time for individual prayer. 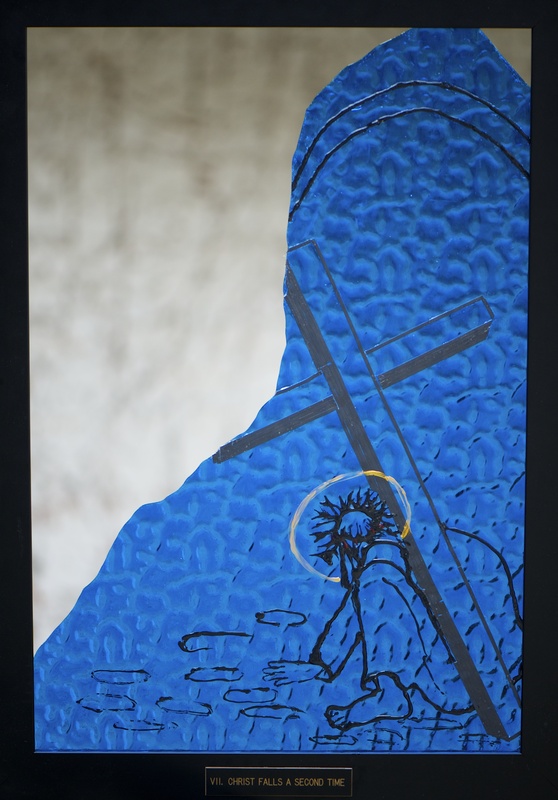 We walk our beautiful stained glass panels, hand-made by members of our congregation from broken glass from our windows, retrieved after the Northridge earthquake. 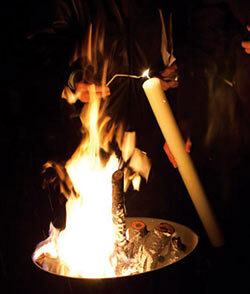 The Great Vigil of Easter – April 20, 7:30 p.m. The glorious music and resurrection readings of Easter Sunday are celebrated with full choir, brass and organ. The 10:00 a.m. service is followed by an Easter egg hunt for the kids while families enjoy Easter refreshments.